When my grandparents started the school 44 years ago, the farm kids not only studied for free but they were also provided with free meals. I know of several students who work after school selling pork barbecue and the like just so that they can have money for lunch in school. There are even students who go without lunch! And many just skip breakfast and eat rice and dried fish for lunch and dinner every single day! That's not very healthy! The foundation realized that what good would our scholarship program be if the free education being given to the children is wasted on empty stomachs! These students can’t concentrate and study well if they are HUNGRY or MALNOURISHED! 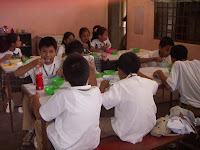 Hence, the Food Program was “brought back” in October of last year where we provide daily free lunch viand to 135 scholars from 1st grade to 4th year high school. Mothers take turn in preparing and cooking different nutritious meal each day. Vegetables and meat are sourced from different backyard growers so the program as well provides an extra source of income for the families in the farm. 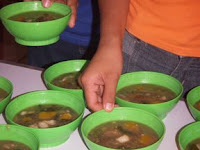 An average meal costs Php5 or US$0.12. 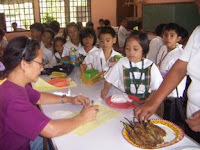 We are hoping to generate more funds for the program next school year to include rice and some fruits / snack food. The program is also planning to let the students grow some of the vegetables in the school garden to help further bring down the cost and feed more children! Lea Salonga, international singing star, after a very long time came back to her mother's home province and gave a concert at the University of St. La Salle Coliseum last January 26. 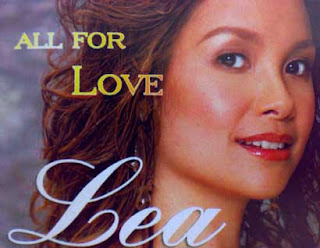 She sang favorites such as "The Promise and "Journey" but captivated the audience with "Ahay Kalisud." Jed Madela, an Ilonggo singer, joined Lea Salonga on stage. Joining thousands of fans at the coliseum were faculty members Sir Ariel, Ms. Karen and Ms. Leda. Jeremy Deogracias, Micho Santillan and Danica Dimanalata were among the ten lucky students who attended this major event organized by Gawad Kalinga. All the profits will be used to build more houses for the less fortunate in Negros Occidental. Thanks to the Tapulanga Foundation who sponsored the tickets, 20 teachers and students were fortunate to have experienced this once in a lifetime concert of Lea! Daw ara lang ako sa heaven nga akon ginaluparan. Daw gusto ko magsiling kung may ara pa? Para ang lasa aton gid manamitan. Kag kanami lantawon nga daw rainbow tanan. This poem was written for Elma's writing class where students could write in either English or Ilonggo. This option was given to the students to encourage them to express themselves more freely. "Ang Macaroons" is the result of this choice. The Writing class, taught by Ms. Ging Graham, meets twice a week.